Dennis J. "Jack" Robinson was born in Pine Forest, Texas, on February 11, 1917 to Robbie A. (Minter) Robinson (b.1886 -d.1978) and Dennis Alvin Robinson (b.1880-d.1918}. He was the youngest of six children. Robbie, Jack's mother, was the daughter of Robert Anthony Minter (b.1851-d.1908). Jack spent his early years in Pine Forest, moving away in 1928. He still remembers the town square, town life, the relatives, and his school days in what you might call "Old Pine Forest," which he recounted in the major address at the 1999 Minter Reunion at Pickton, Texas. As a young man Jack attended college during the summer of 1933 at East Texas State Teachers College at Commerce, Texas. At the end of that summer he moved to Houston, Texas, and worked at Great Southern Life Insurance Company for about seven years, and until the time he entered military service. While working, he found time to attend college in the evenings at Houston Junior College, which became University of Houston in 1934..
At the advent of World War II, Jack enlisted as a private in the Cavalry, which at that time was the last vestige of the old horse cavalry. It was shortly thereafter mechanized. In 1942 Jack was transferred to the Army Air Corp, which is now called the U. S. Air Force. He attended the Air Corps' School of Applied Tactics, and then was a Ground School Instructor at a Basic Flying School. Later he attended the Army School of Special Services at Washington & Lee University. From there he went on to serve as a Orientation Officer in the Pacific Ocean area with the Army Air Transport Command. He ended his service as a First Lieutenant in the Air Corps. He had served approximately 5 years and three months. For his military contributions, he was awarded several service medals and one battle star during the Philippines Campaign in 1945..
After military service, Jack, like so many others, returned home and began work in outside sales. In 1946-47 he sold Machine Tools and Supplies for Wessendorf-Nelms & Company in Houston. From 1948 to 1950 he worked for Life Savers Corporation, the candy people, first as a sales representative, and then as a sales supervisor. He was a salesman for Lever Brothers from 1950 to 1956. He was promoted to an Area Sales Manager for Lever Brothers, and served in that capacity from 1956 to 1962. From 1963 to 1968 he was District Sales Manager for Lozier Store Fixtures. Moving on, Jack was co-owner of R & S Vending Company of Houston. From 1977 to 1981 he was co-owner of A-Bee Distributors, Houston. Jack retired in 1981, and his wife Mary followed him in retirement in 1987 from Foley'Department Stores. In the years since her retirement, Mary has pursued a hobby of collecting early American artifacts, as well as figurines. They both spend time when they can spoiling their granddaughter Emma Jane Robinson (b.1987), their only grandchild. 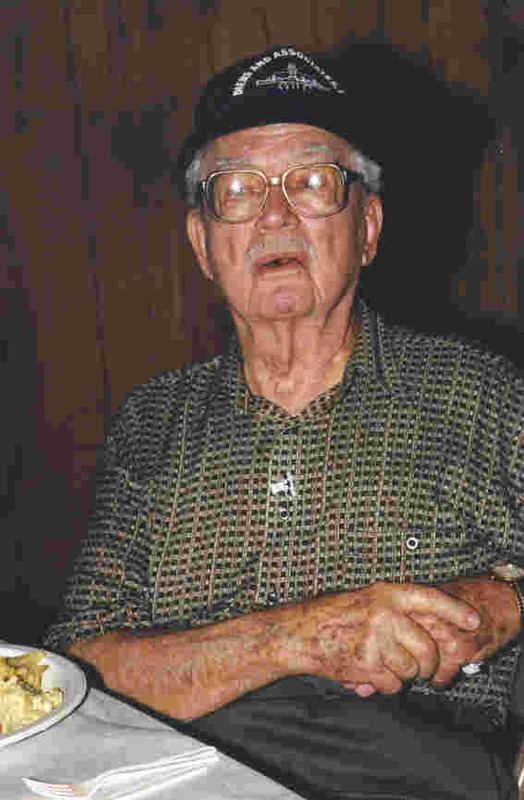 Sometime after Jack's retirement he was passed the mantle of recording the Minter Family Genealogy from a cousin Robert Melson Minter Jr. (b.1930) of Baytown, Texas. He took to the task enthusiastically, learning all about computers along the way, and now has the records and knows more than any other person about John Morgan Minter (b.1792 - d.1856) and his descendants, which have been called "The Minters of Pine Forest." Over the years Jack has been the Family Researcher and Archivist, and has generously answered inquiries about the Minters and has promoted the family name and heritage in the best of traditions. 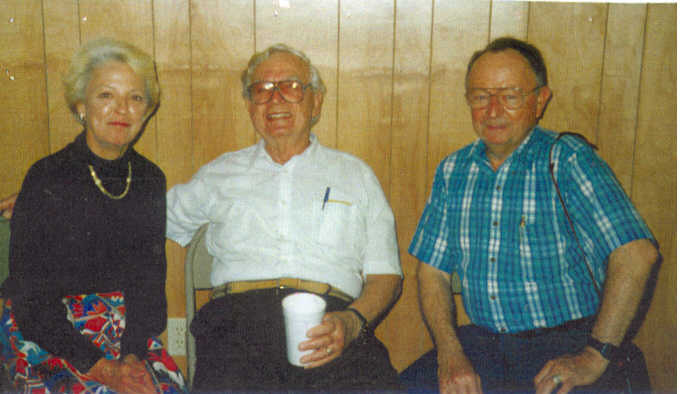 In early 1999 he collaborated with Thomas J. Minter, a cousin, in creating a web site of pictures and information devoted to The Minters of Pine Forest, Texas. For several years now Jack and his wife Mary have lived in Houston, Texas. 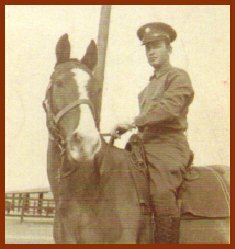 Jack astride a cavalry steed in 1941. Jack with cousins Mary Ann (Minter) Pleasant.and Robert Melson Minter Jr.